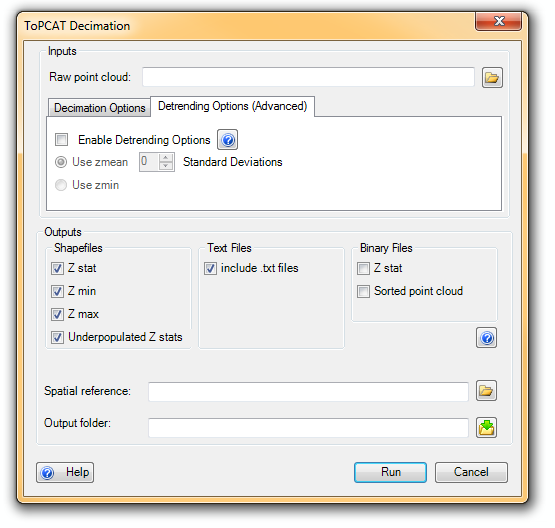 The ToPCAT point cloud decimation tool takes in a space delimited x y z file (i.e. a *.pts), x and y sample window resolutions, and a minimum number of points to calculate a statistics. By gridding the points based on the user defined x and y resolutions it calculates valuable statistics for each sample window with at least the user input.minimum number of points. 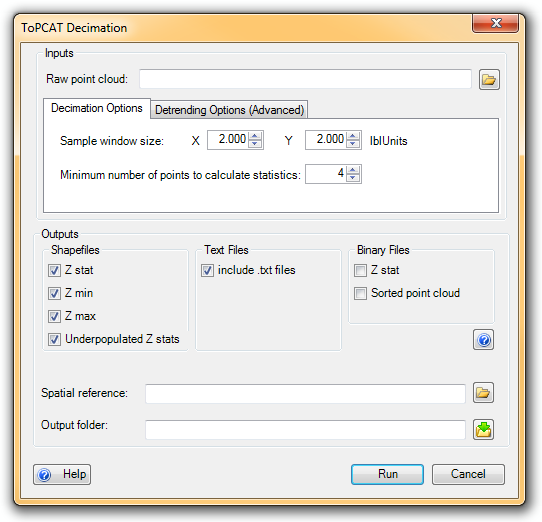 These statistics are stored in a single point in the center of each sample window.